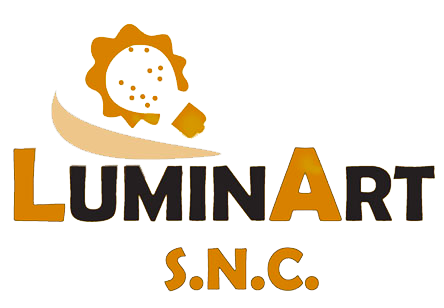 The history of the company LUMINART SNC began in the distant 1964, years in which there were still scenographies with oil lamps that were gradually replaced by electric energy that brought significant progress in the field of illuminations. That’s how the Cav. Arturo Iacelli; began to impose himself and to stand out for his stubbornness, sense of security and precision. His brilliant work continued over the years to evolve establishing itself as an award winning company in the crowded lighting industry. In 1993 the continuation of the company is inherited by his sons Giuseppe and Vincenzo who admirably continue to make the lights of the Luminart shine, receiving great successes and acclaim, always carrying on more innovative and exclusive techniques, which consolidate the Luminart company leader in the field of artistic luminaries, certainly able to satisfy any idea or project. Luminart personally takes care of processing and installing any project you have designed. LUMINART: a name a guarantee! We can do it, we are getting ready for the impossible.